Although today’s free noon-hour concert by Thomas Allen at the Richard Bradshaw Auditorium was titled “Songs of the Sea” the waters could have been the fountain of youth. 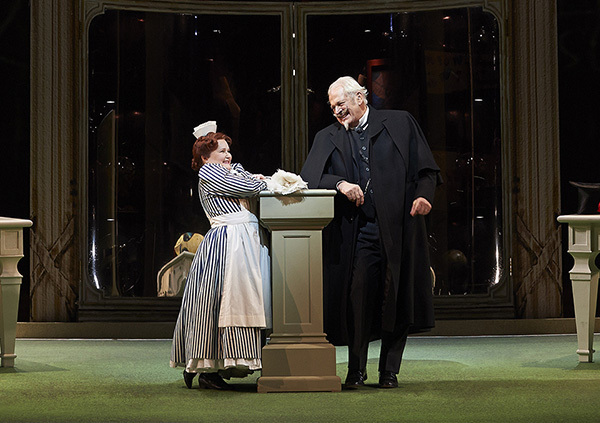 Allen is the biggest name singer currently appearing in the Canadian Opera Company winter season, with three performances remaining in the run of Cosi fan tutte. I don’t pretend to understand the mysteries of voice, of classifications & casting, only that Allen has graduated to the more senior instigator role of Don Alfonso, after having sung Guglielmo in his youth. 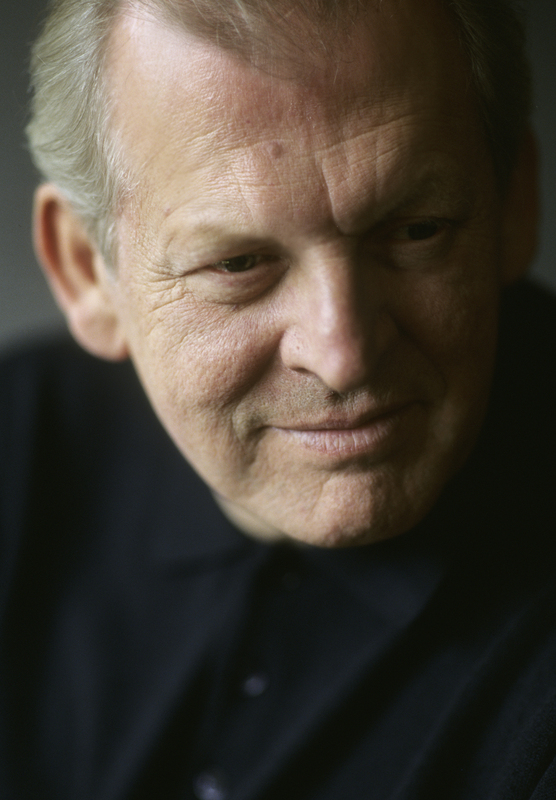 Now in his seventieth year (if the internet is to be believed), Allen still commands a formidable instrument. Alfonso doesn’t go as low as Sarastro (Magic Flute) but still lies lower than the baritone roles such Count Almaviva (Marriage of Figaro). Any voice is a mixture of colours, a combination of higher and lower registers. It’s a privilege to watch a great singer mixing from his varied tonal palette, choices influenced both by what he’s been doing with his voice recently and a lifetime acquaintance with these songs. The glory of these noon-hour recitals is in the removal of theatricality and illusion. We’re all alone with the voice in a most intimate setting with clear acoustics. For close to an hour we’re watching facial expressions, body language, hearing intakes of breath and tiny details of articulation lost on the larger stage. A group mostly “by” Britten: that is, a small operatic excerpt from Billy Budd, plus four songs arranged by Britten with a fifth a capella song inserted into the group. It was traditional programming in the sense that we moved chronologically through the compositions, from classical to romantic to modern and even popular at the end. I couldn’t help thinking that in the process the real Thomas Allen gradually showed himself. The Haydn songs are a lovely and varied group, especially the contrast between darkness of the second song and the boisterous masculinity of the third: our first excursion into anything genuinely maritime. Indeed the whole program is quite comfortably male without being ostentatiously so. With the Schubert songs a warmer and gentler tone came to light as the voice warmed up. In “Der Musensohn“ Allen’s baritone began to re-assert itself, a glorious sound that could have been made by a singer in his 40s. And yet coming to the monologue from Billy Budd, I was struck by the contradictory magic of the moment. Allen won’t be cast as Billy anymore, the part requiring youth. The scene is a reflection in the face of death from a young man, but now portrayed for us by an older artist: as though in valedictory. At one time opera was more open-minded in its casting, to allow older artists to play youth, but nowadays the visuals seem to trump everything. I was surprised just now –when I pulled up a recording of Allen singing this role a quarter of a century ago—to discover how dark he can sound even when singing delicately with his head voice. At least for this one scene he demonstrated that he can still sing the part as eloquently as ever. The closing trio of songs seemed to take us closer to the Allen who had not yet encountered opera, a young voice that at times seemed to croon gently and without any apparent effort. At the end of the program Allen was clearly having fun with Andrist, enjoying the enthusiasm of the RBA audience. Allen’s concluding performances in Cosi fan tutte are February 15th, 18th & 21st. This entry was posted in Opera, Reviews and tagged Benjamin Britten, Canadian Opera Company, Haydn, Rachel Andrist, Richard Bradshaw Auditorium, Thomas Allen. Bookmark the permalink.